Tea Collection Private Sample Sale!!! I have a very special offer for my readers! If you are a fan of Tea Collection, like I am, you’re going to love this! Tea Collection is having a Private Sample Sale on Past Collections, beginning today, April 27th through Wednesday, April 29th. You will have exclusive access to styles up to 60% off! 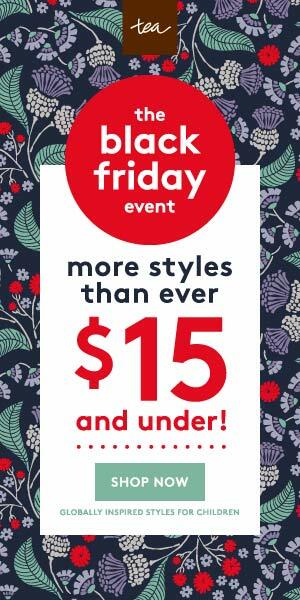 To start shopping, click on the link or banner below and you will be directed to the sale site. 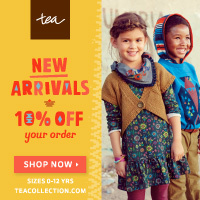 Tea’s Secret Sample Sale: Get styles from past collections up to 60% off! May 4th celebrates the Star Wars Trilogy that has entertained thousands of fans from all over the world. In honor of May the 4th be with you, Mabel’s Labels is offering 50% Off Robot, Rocket, Princess and Star Sticky Labels for one day only, on 5/4 from 10am EST until 11:59pm EST. The force is strong with this offer – don’t miss your chance to shop this great deal! FTC Disclosure Statement: This post contains affiliate links and I will be compensated if you make a purchase after clicking on my links. The season for summer camp preparation has begun! By now you’re already scrambling to sign your kids up, and soon you’ll be sorting through the piles of sunscreen, swimsuits and sneakers. Make their lives a little more organized (and yours a little easier) by picking up some Limited Edition Camp Combo Packs from Mabel’s Labels . These UV resistant, waterproof labels and tags are designed for kid camp equipment — clothing, toiletries, swim gear, backpacks and more — and ready to take a summer beating. To complete the outfit of adventure, receive 20% off of an insulated water bottle from Eco Vessel with your Limited Edition Camp Combo Pack purchase. Let Mabel’s Labels help you to get them sorted, tagged and prepped for a summer they won’t soon forget. Plus, save $2 with early bird pricing now through April 30th! Happy Camping!